Paving is often a key element that can make or break the beauty and harmony of your outdoor areas. And it’s equally important for both your house and your office. Family members, friends, but also customers and employees pay attention to these little details and investing in your driveway or parking lot always yields long-term benefits in terms of image and comfort too. Regular maintenance is recommended. Let us provide you with the best quality stones, and the best in terms of design and workmanship too. 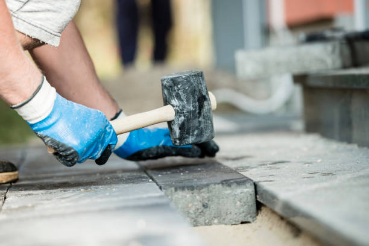 Being 100% local is one of our greatest strengths so if you are looking for a paving company near you, don’t look any further, we are the most highly respected paving contractor in the Melbourne area! Our staff members have many years of experience in the industry and they are equipped with top-notch machinery and tools for better results. Everything is covered from designing beautiful paving projects to installing and maintaining them. 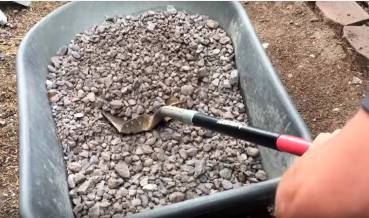 Whether you want to pave a small patch of land or entire driveways or walkways, we have a wide range of paving solutions available that will satisfy all your requirements. If you need anything out of the ordinary, we can always create a custom-made package that will be specifically tailored to anything you may desire. Whether you need paving for your own property or for your company, we can help. Our company is versatile and flexible and will provide for all your corporate and private needs. Plenty of homeowners and local businesses work with us. Our pavers are top notch when it comes to installing paving stones that are both stunning in look as well as low-maintenance. We will also make sure that there is a slight slope for efficient water drainage. We can build anything: driveways, patios, steps, curbs, retaining walls, or even walkways. Hardscaping is what we love to do, and we believe it is an excellent way to upgrade your property without having to spend a ridiculous amount of money. 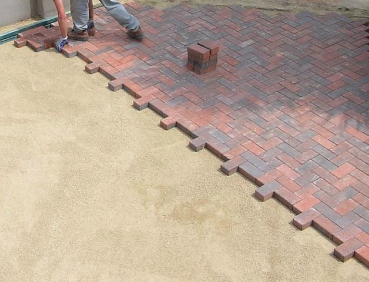 Our team members are experts pavers with knowledge about almost every subject related to paving, and we work hard to be considered the area's all-in-one pavers. So even if you don't see the service you are looking for, feel free to call us up an ask because there is a good chance we can help you out. If you are wondering how much our services cost, let us tell you that we offer very competitive prices to all our customers. You will never be overcharged and the value we deliver is incredible compared to similar paving contractors. We offer a one year warranty to protect our clients from unexpected issues and we are completely insured and licensed. You can be sure that you will get top quality results. Delivery will be made on time and our customer service is of the highest level. ​Call us now at 321-280-9011 to get a free no obligation quote. Our operators will answer all the questions you might have about our business and range of services too. We cover not only Melbourne but also Palm Bay, FL, and surrounding areas.